This is a picture of one of the Lochs in Glencoe (which I believe is Loch Leven). 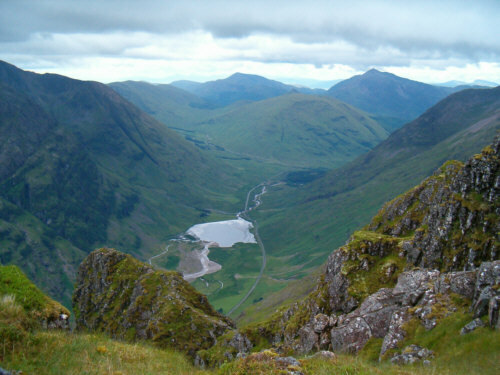 Glencoe is a particularly rugged area most famous for the massacre which took place there. However, it is also a favourite with walkers and outdoor types.